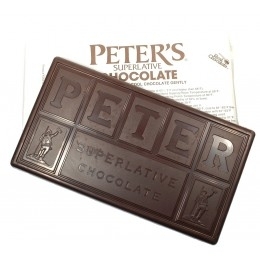 Peter’s dark chocolate products are carefully formulated using the highest quality cocoa beans distinctly roasted to achieve that perfect blend of complex tastes and textures. Their bittersweet and semisweet chocolates enjoy a precise flavor profile that pairs so well with both sweet and savory snacks. That’s why we make it easy to buy bulk orders of Peter’s Dark Chocolate online, so you can create rich ganaches, smooth coatings and bold candies whenever you like.